Sony is all set to make a strong comeback in the smartphone business. The Japanese company is reportedly gearing up to launch a slew of smartphones in the days to come. According to a new report, the upcoming Sony smartphone is going to be different from most smartphones available in the industry right now. The upcoming smartphone is tipped to come with an unusually tall display which will apparently be called “CinemaWide”. The Sony phone in question will be called the Sony Xperia XA3. This is for the first time that the Sony Xperia XA3 has been leaked in renders showing off the phone from all angles. A new report suggests that the alleged Sony Xperia XA3 will reportedly come packed with a CinemaWide display and an aspect ratio of 21:9. The courtesy for the leaked renders goes to Winfuture.de. The Sony Xperia XA3 is expected to launch together with the Xperia XZ4 at Mobile World Congress 2019. 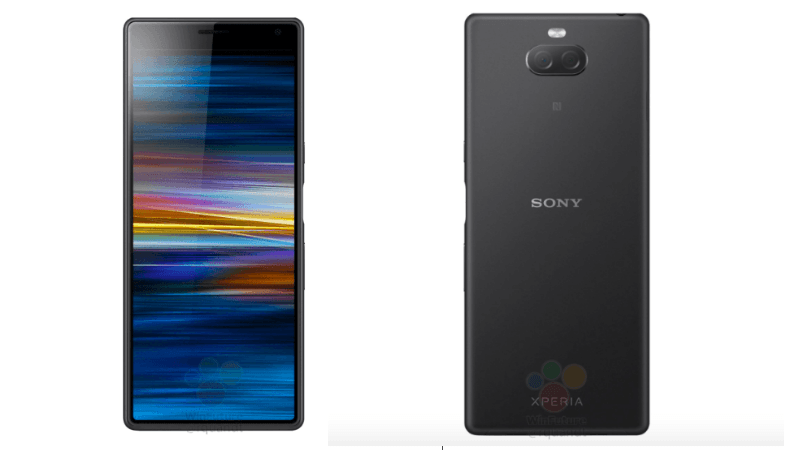 The renders show the Sony Xperia XA3 in four colour options including — black, blue, gold, and gray. The Sony Xperia XA3 appears with no chin, but surprisingly there’s a huge forehead. Notably, the opposite happens in most smartphones these days. The sides bezels on the Sony Xperia XA3 are also as thin as the chin. The leaked renders show the Sony Xperia XA3 with a side-mounted fingerprint scanner. We have seen several Sony smartphones in the past with the fingerprint scanner integrated into the power button, so there are no surprises here. The fingerprint sensor on the Sony Xperia XA3 is placed in the middle of the right side of the phone to let the users reach it easily and unlock the phone quickly. The renders reveal that right below the fingerprint sensor the Sony Xperia XA3 includes the volume rockers. The sensor to unlock the phone is placed on the right side. On the left, the Sony Xperia XA3 includes the SIM tray and microSD card slot. That’s about the front of the Sony Xperia XA3. As noted, the renders reveal the rear panel details as well. The Sony Xperia XA3 appears with a dual camera system on the rear side positioned in the middle of the back cover in a horizontal fashion. Following the rear camera setup, the Sony Xperia XA3 includes an LED flash. The renders also reveal that the Sony Xperia XA3 will come with USB Type-C port which should come as good news. Past reports have revealed some specs details of the Sony Xperia XA3. It suggested that the Sony Xperia XA3 will be powered by Snapdragon 660 processor and come with a 23MP primary sensor on the back and an 8MP secondary sensor for clicking depth information.